I had a fun surprise yesterday while watching a female Common Merganser as it swam, preened, and fished along the weir at Marymoor Park in Redmond, WA. In the background, I noticed a tiny, otter-like head poke up and swim across the strong current. OKAY, I'VE BEEN LAX about maintaining this site over the summer. Blame it on good weather, being busy with my son's wedding, and spending more time taking photos than culling and editing them for publication. 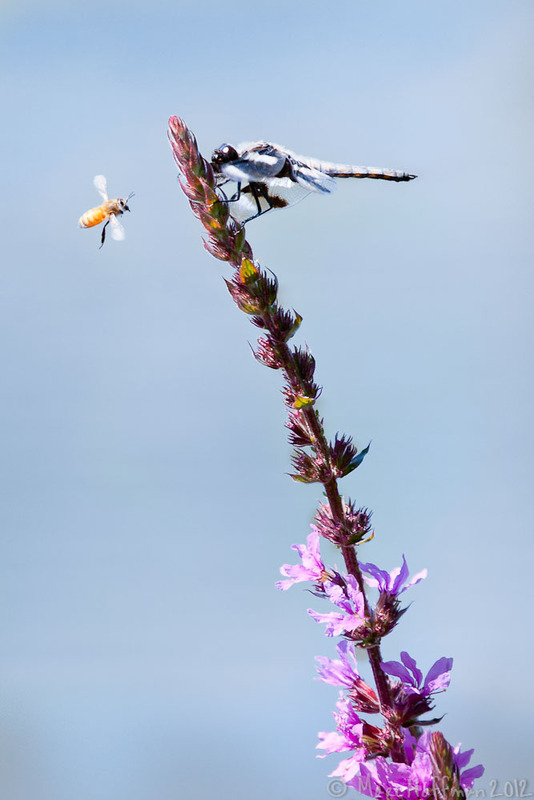 Here, then, is a review of the summer, presented as several favorite or representative images I captured on local outings. As always, click the images for larger versions. Great Blue Heron Rookery. 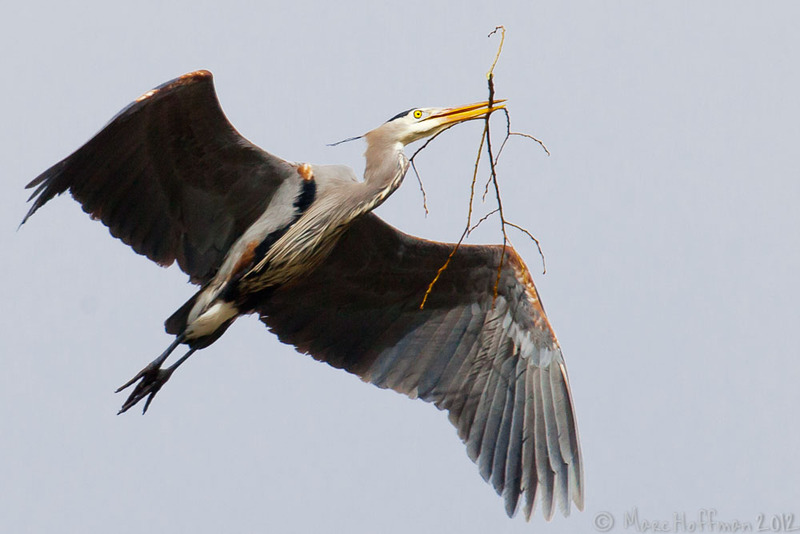 Above, a Great Blue Heron carries nesting material to a new rookery (a colony of nests) high in the cottonwood trees at Marymoor Park in Redmond, Washington. 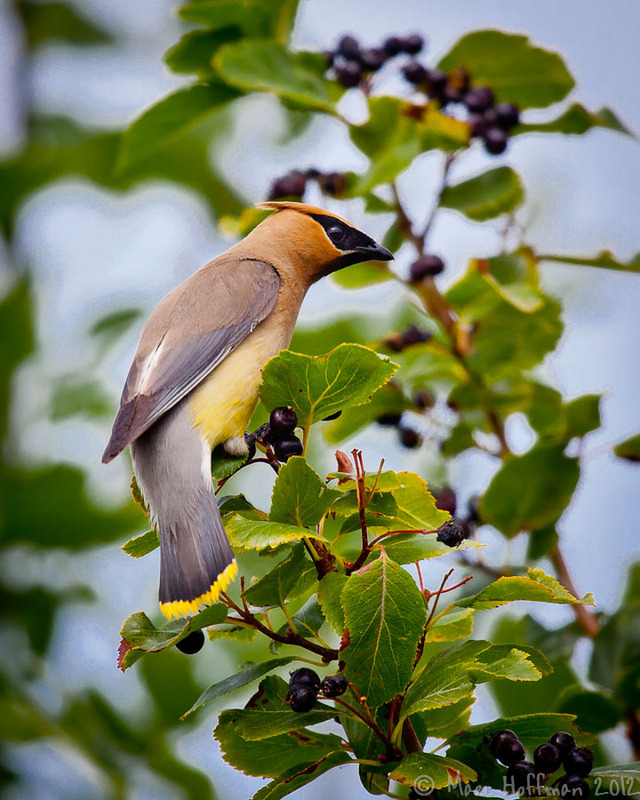 Such rookeries are most at danger from Bald Eagles, who may harrass the adult Herons and kill the chicks. 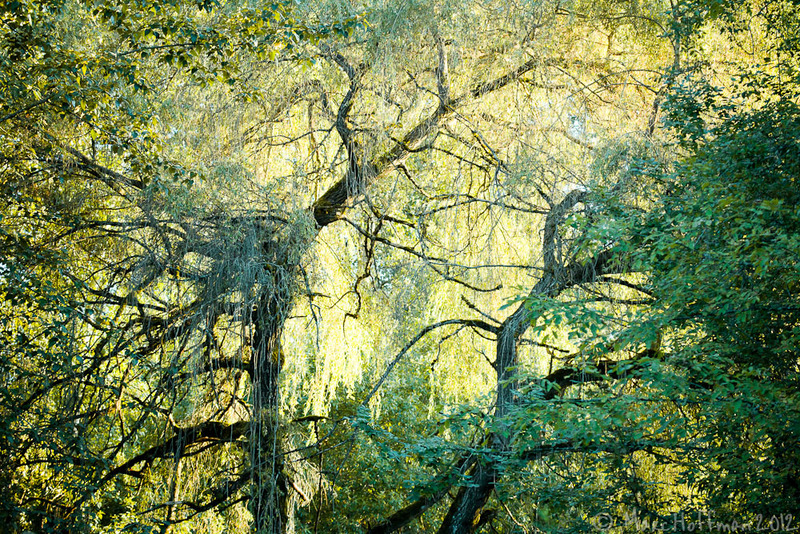 Fortunately, this rookery survived. The heron below was fishing patiently in an inlet of Union Bay. 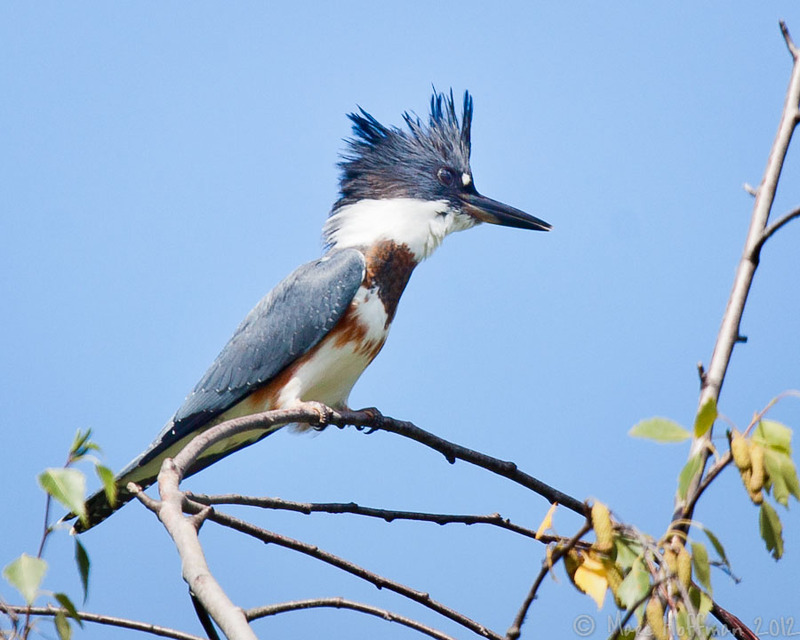 His unique fishing style involved a full-body dive into the water (more often these birds merely thrust their heads and long necks into the water), then flying off with his catch. Sunbathing on the Boardwalk. 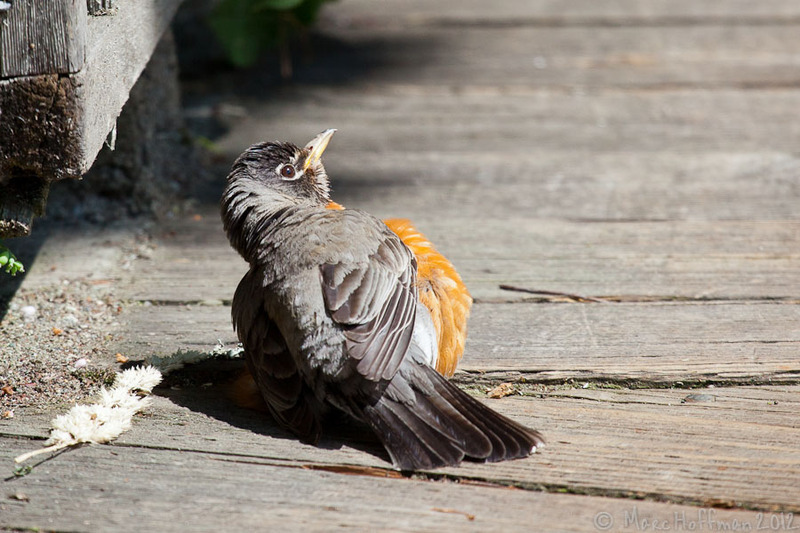 This Robin looks half-dead, but actually is just taking in as many rays as possible. 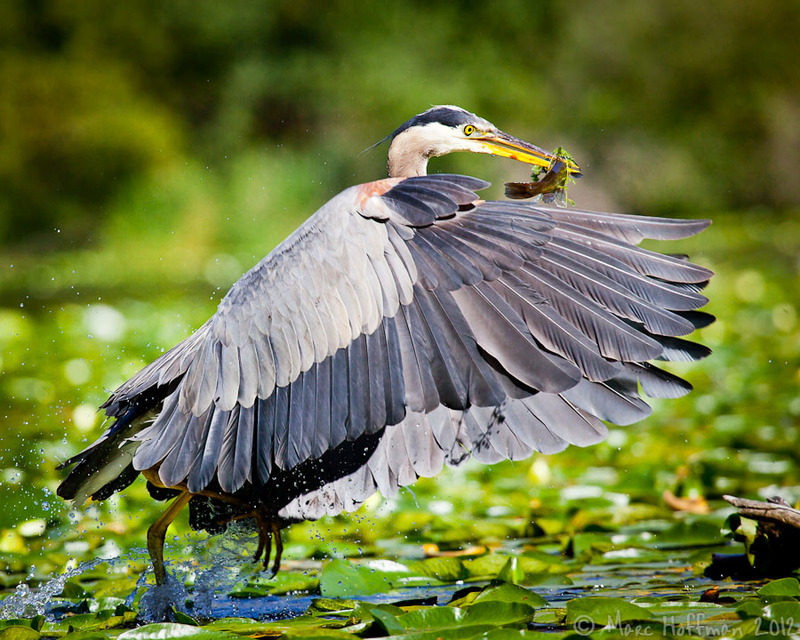 Taken at the Nisqually National Wildlife Refuge near Olympia, Washington. Babies in Birdland. 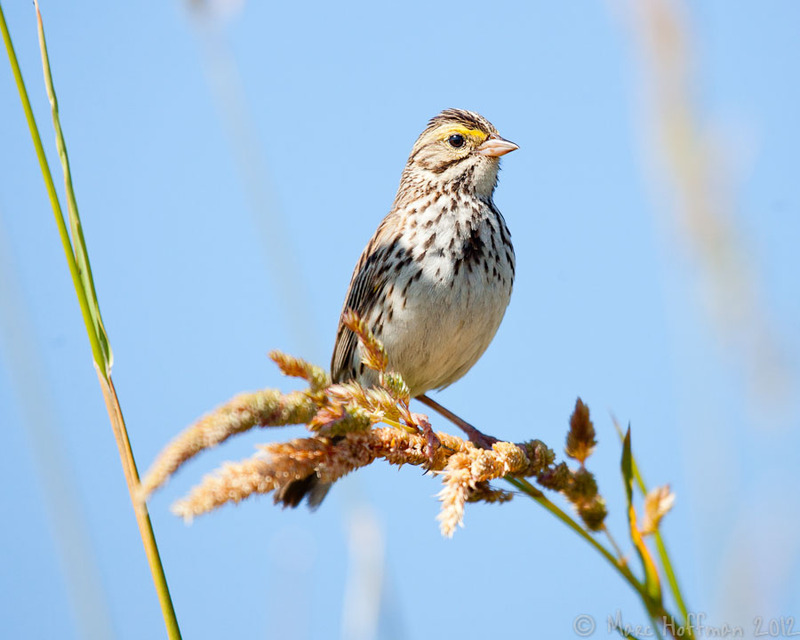 The #1 priority for birds in summer is to raise their young before Fall migration. 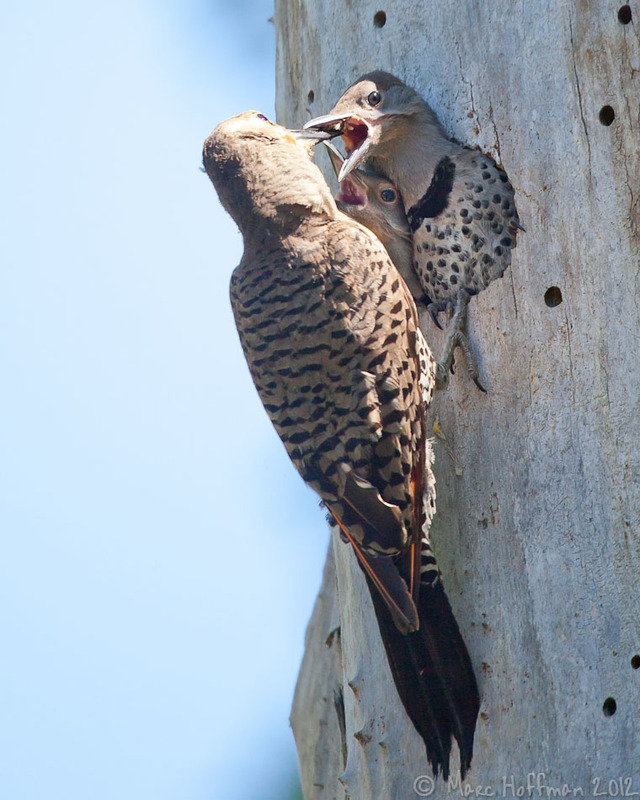 Below, a fledgling Barn Swallow and two baby Northern Flickers use boisterous persuasion to get fed. Notice how the Swallow keeps her eyes closed around her youngster's sharp beak. 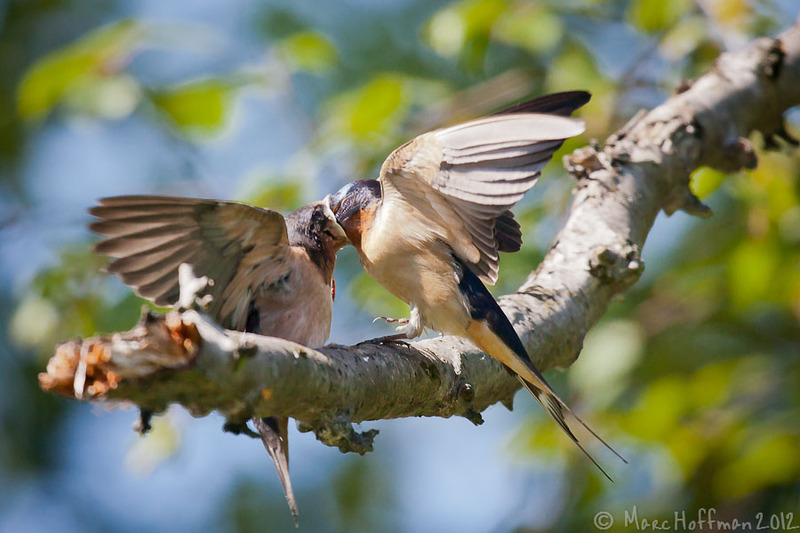 It is typical for fledglings (babies that have left the nest) to continue being fed by the parents.